VR technology firm Jaunt has struck a new partnership with Sky deliver content to consumers via its Sky VR app. 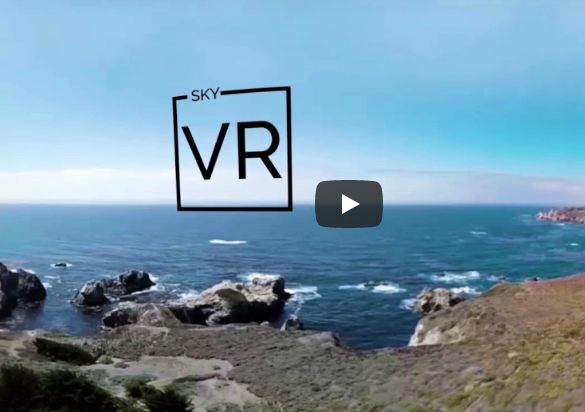 Sky VR Studio, Sky’s in-house virtual reality studio, will use the technology to deliver content to consumers via its popular Sky VR app. Sky will become the first media company to adopt the Jaunt XR Platform for the distribution of its VR content, which includes experiences that allow viewers to explore inside The Jungle Book’s King Louis’ temple as well as ride a Star Wars X-wing starfighter fighting Imperial forces. Gary Davey, Managing Director of Content at Sky said, “The viewing habits of our customers are evolving and, the appetite for immersive content is growing day by day. Since launching the Sky VR Studio in 2016, we’ve been at the forefront of VR content creation – fusing together world-leading technology with the best storytelling and ideas. This year Sky will launch ‘Hold the World’, an inside look at the Natural History Museum’s collection of rare objects featuring a three-dimensional hologram of Sir David Attenborough – a world first. PwC’s Global Entertainment & Media (E&M) Outlook 2017-2021 , predicts the UK’s Entertainment and Media sector is set to grow at a compound annual growth rate (CAGR) of 10% over the next five years, driven by growth in VR and advertising.